Paying attention to the Scriptures and other propers, the Athanasian Creed, and the hymns for the Feast of the Holy Trinity have salutary effect on preachers. Trinity Sunday should remind Christian pastors that God does not desire us to know how He is by virtue of human reason in order to explain Him to Christ’s people. Instead, God desires us to know who He is through Spirit-created faith in Jesus in order to proclaim Him to Christ’s people. 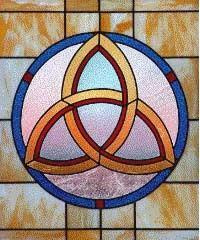 For more on Trinity Sunday, I offer last year’s sermon in MP3 format as well as the article Athanasian Creed: Trinity, Good Works, and Salvation at Ask the Pastor.